I was a little late to reading Divergent which actually worked out well since I didn't have to wait for the next two books to be written. Sometimes procrastination works. I loved Divergent (and the movie!) and had high hopes for the rest of the series. Insurgent picks up where Divergent leaves off. While I generally try to avoid spoilers here, it's harder to do when reviewing a sequel. Rest assured I will not give away any surprises from Insurgent, but details from Divergent may be revealed. If you haven't read it yet, consider yourself warned. Tris and Tobias have escaped Erudite's clutches and Dauntless' treachery for the freedom of Amity. Although they are able to rest and heal at Amity, they quickly realize that they are not truly safe anywhere. They narrowly escape Amity and after boarding a train, discover a secret connection to the Factionless. 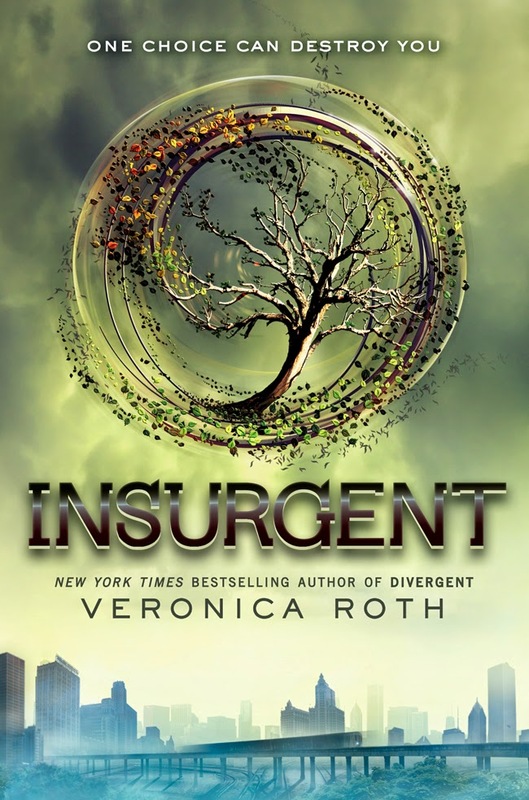 From then on Insurgent is like a wild train ride of suspicions and distrust as Tris and Tobias try to save their people and not lose themselves in the process. There are so many twists and turns and moments when it is just literally impossible to stop reading. I enjoyed this book just as much as the first and found it very hard to put down. "Luckily" I had the stomach bug which forced me to lay down for quite a few hours and I was able to devour this book in just one night. Although I was on the waiting list for the library ebook for the next one, I gave in and purchased Allegiant roughly 5 minutes after finishing Insurgent.